eNDT is the ultimate application for people involved in Non Destructive Testing. 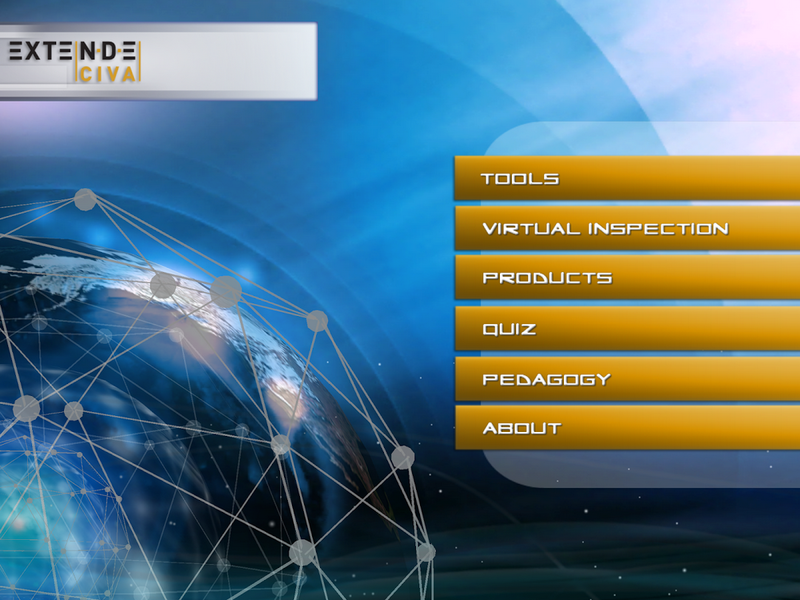 EXTENDE has developed this tool to ease your NDT professional life and education. You can learn and practice NDT in the train, plane, during a boring meeting, wherever and whenever you want with your mobile device (cell and tablet, optimized for tablet)! Tools in Ultrasonic Testing, Eddy Current Testing and Radiographic Testing: from Snell's law to Photon flux to Eddy Current Penetration Depth. These tools may be helpful in your work or your studies. A quiz to test your knowledge on a specific technique or all of them. Register your nickname and check your world ranking! If you’re among the best, everybody will know it! A virtual Ultrasonic Testing inspection to challenge your skill on a blind mockup including an unknown geometric figure inspected with 0° LW. Try to guess it! Made with the world leader simulation software for NDT, CIVA, this inspection is designed for level II. Pedagogic training videos explaining some physical phenomena. Student or professional, these videos are made for you. Information about simulation in NDT and especially CIVA Software.